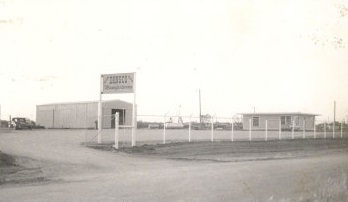 Dansco Manufacturing launched in 1980 during an exceptionally prosperous time for the oil and gas industry, but the foundation began to form many years earlier. Danny Faulks, President and founder of Dansco Manufacturing, first began working on pumping units in 1972. Danny’s eye for details and his drive for excellence made his first organization, Danny’s Pumping Unit Service, a tremendous success. Danny earned the trust of his customers with honesty and fairness, creating business relationships that he transitioned into his new venture in 1980 – building the first Dansco pumping unit as Dansco Manufacturing was born. The Dansco pumping unit represented the same quality workmanship and attention to detail that Danny practiced in the field. 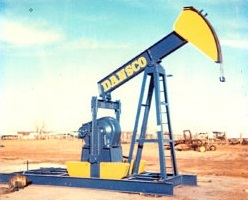 Dansco produced and sold nearly 1,000 pumping units before the oil crash of 1986, when most manufacturers went out of business. Dansco’s reputation helped the company stay in operation until oil prices rebounded in 1988, when Danny once again evolved his company to meet the changing demand from the market. As producers and developers began drilling again, the reality of the mid 1980’s oil price swings opened a new market for rebuilt pumping units. Dansco began purchasing used units and rebuilding them, allowing companies to save thousands of dollars and still produce. Dansco capitalized on this new niche market for the next 17 years, selling almost 4,000 rebuilt pumping units as the market built itself back up. Demand for new pumping units became strong again in the mid-2000’s as the price of oil skyrocketed. Dansco took steps to meet those demands by expanding three times between 2005 and 2009, producing new Dansco pumping units along with continuing to rebuild used units and manufacture parts for obsolete pumping units. The expansion included a new production line, enlarged machine shop and onsite paint shop along with an additional 35 acres for new inventory and materials. These advancements allowed Dansco to cover all the needs of its customers, from replacement parts and repairs to rebuilt units and new Dansco units as well. The increased abilities generated new customers around the world, with Dansco pumping units currently operating in Canada, Trinidad, Venezuela, Poland and Africa. Dansco operates today under the same guidelines and founding principles that Danny did back in the 1970’s. You can count on Dansco for quality workmanship, honest people and the staying power of our organization. We are still a family-owned, faith-based company operating in Abilene, Texas. Dansco – yesterday, today and tomorrow, where quality meets service every time.